Quakix Gorem is the name of an unreleased Bakugan. It is a BakuTremor Bakugan. He is released as part of wave 4. If this is Gorem's next form, this could mean he evolved and will fight with Julie in Gundalian Invaders since she is in it. His G-Power level might even match Drago's. This means that Gorem might come out of retirement from battling. In Bakugan form, Quakix Gorem looks more like a strange sort of animal rather than a humanoid. There are rumors of one appearing in an episode supposedly about Julie. Unlike most BakuTremor, his winder is on the top of him instead of his side. Pyrus has 850 Gs. Ventus has 840 Gs. 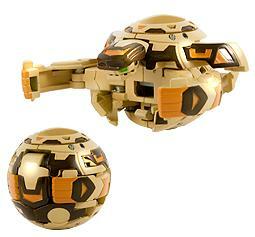 Purchase your Quakix Gorem Bakugan from Amazon now!